Wayanad abounds with natural treasures in almost every last corner of the district, beyond the main urban areas. It is this natural beauty that has made the region famous among tourists, be they Indian or foreign in origin. Today, Wayanad experiences a steady flow of tourists from all over, with annual number of arrivals showing gradually increasing as time passes by. People choose to experience this natural beauty in a number of different ways. To some, it is nothing more than a guided tour of the major attractions that dot the landscape. To others, it happens to be something of a group tour package, which was part of a larger deal that included hotels, stay and more. All of that might be largely a high-tech and modern way of experiencing nature. But for those who really want to experience things in a way that man was meant to do so, there is no better way to do it than to head off on a trekking expedition right into and through the wilderness. And when it comes to treks, there is certainly no shortage of such suitable locations. There are plenty of spots all across Wayanad that make for awesome trekking hotspots, which happen to be unlike any other. 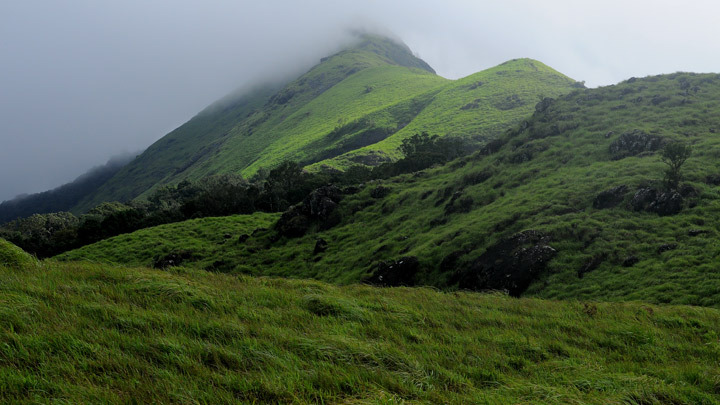 One such location happens to be Chembra Peak, which as the name suggests, refers to a location in Wayanad surrounding the hilly regions in and around the famous Chembra Peak; a place that abounds in a sea of verdant greenery and breathtaking views of the Western Ghat mountains in all their glory. The first thing to concern one with when it comes to trekking here, would be reaching this spot. The journey isn’t really that difficult for the most part. Being one of the most popular trekking locations in all of Kerala, it is fairly easy to reach the location with personal or public transportation. However, it is recommended for one to use private transport if one is looking for convenience. The beginning of the trek actually begins about 20 Km away in a town called Meppady. The town is well connected to the rest of Kerala as well as other states through a good road network. Most of the people who reach this place often do so by first reaching another town called Kalpetta. After reaching Meppady, the next thing to do would be to hire an auto or a jeep to reach the beginning of the trekking spot. The trek begins at a spot that is controlled by the Kerala Forest Department. One will need an approval from the forest department officials for the necessary permits in order to enter the trail. Only after attaining this permit will one be able to begin trekking. A sealed permission is issued, which needs to be presented at a watch tower along the trekking trail, in order to continue the trek any further. In addition to this, one can also hire a guide for the trek, who will be able to navigate the routes and help out along the way. The local forest department allows for treks to take place between 7 AM and 2 PM. After 2 PM, no permits will be issued and one will have to come back the next day. The forest department doesn’t allow for overnight camping here as there is a danger of wild animals entering the campsite. Furthermore, the usage of plastic bottles is discouraged among the trekkers; all trekkers are required to place a deposit before entering the trail in case they have any plastic bottles, which is refundable once they return from trekking. The entry fee for trekking or any sort of entry into this area will cost Rs 20 for a single person. The location is tropical which means that one can visit the location throughout the year. This is very much unlike temperate locations where there is the possibility for snowfall during much of the year, making it difficult for one to go about trekking when winter sets in. However, there is the issue of the rains when the monsoon season sets in. When this happens, one can expect a great deal of rainfall much of the day. The monsoon is concentrated mainly in the month of July, while the season itself sets in anywhere between 1-2 months before it and then coming to an end in just about the same time duration. The ideal months to visit this trekking location would be after the monsoon gets over. One can visit the place even before the monsoon but considering that it would be the summer months, where local temperatures can become unbearable, it isn’t an ideal choice for a lot of trekkers. Winters on the other hand, happen to be an ideal time for trekkers since the weather is very pleasant for much of the time, even during the afternoons in many cases. The trek will take a couple of hours and can be finished under a single day. The trail itself is fairly easy and manageable for people who are generally fit. The location is fairly hilly as well as steep in several locations along the trail, due to the location being in the heart of a mountainous chain of the Western Ghats. The trek begins at the base of the Peak, near the check post of the local forest department. After the necessary permits are obtained, one can begin the ascent towards the peak. The early parts of the trail happen to be fairly level and flat terrain, where there is little to no steepness. Once the first part of the trek is completed, the real trek begins and this is where one can begin to experience much of the steepness and natural beauty that the place is well known for among tourists who frequent it. Before this, there is a lot of flat terrain with little to no forests or anything else. On the contrary, there are a lot of grasslands and along with the same; there are also several large plantations, many of which grow tea. 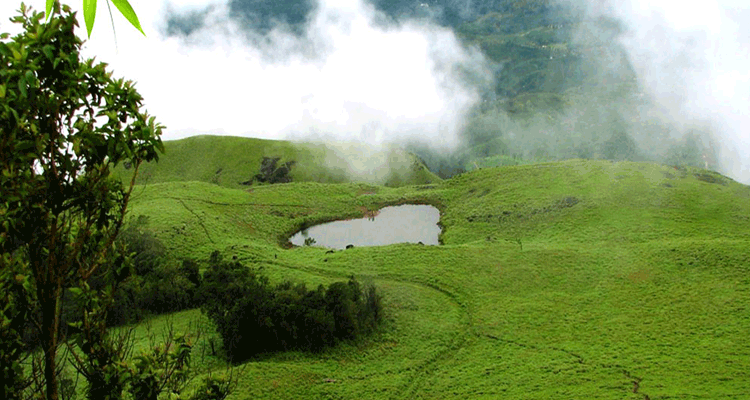 It is only after one passes these places can they expect to witness the landscape which Wayanad is famous for. Upon reaching the main foothills of the summit, the trek will continue through the winding trails, throughout which one can witness the vast landscape of the location that vary from grasslands to open forests to dense jungles. After some amount of trekking, there is a beautiful heart-shaped lake famous with trekkers and other visitors. The lake is fairly large and it is said according to local legends that it has never gone dry for a very long time. Once this lake is reached, one can begin to reach towards the main peak, which provides some of the best views of the natural landscapes in and around the region. It is important to add here that one will need to check and clarify if one can trek to the top of the summit, since the local forest department has been slowly restricting the movement of people inside the protected area. As fun and memorable as one can expect the trek to be when they come to Wayanad, there are a couple of precautions to remember. For one thing, the location is very hilly and as a result, there are a lot of steep places that can prove to be dangerous if one isn’t careful. Another important thing that should be remembered is the fact that the region is essentially a forest area. Should one stray from the main trail, there is a possibility of getting lost and perhaps even entering the main forest areas, which can lead to consequences such as being charged with breaking the law or perhaps even worse, being eaten by wild animals. To sum it all up, a trekking adventure up the hills of the Western Ghats and up to Chembra peak is certainly something that would make for an excellent trip whose memories will last a lifetime. Done right, one will certainly be able to have the time of their life, while at the same time stay safe and avoid any pitfalls that might otherwise come along the way while on this adventure.